Since as we have observed business and corporates are engaged in a finite game of competing for resources and markets this is perhaps one of the most significant sections. The prevalence of the finite game as a business model in the world is now chronic. The whole financial system with its winners and losers is now so detached from natural reality that it is fair to observe that it is one of the prime destructive forces on the planet today. What the Live Earth GoBaC will do for any company is to assist them to move from a finite game to an infinite game. One that is sustainable and will last, because it does not abuse people or the resources of the planet. In the fast changing world a company or organisation will need to be flexible and fit in order to survive. It will need to be fully in touch with its staff and customers and suppliers and engaged with them in a way that empowers all. As society shifts towards sustainability driven by its survival mechanism the appreciation and support for business’s that assist this process will increase. This will we feel be one of the rewards for firms prepared to voluntarily go down the sustainable path. The LEGoBaC will provide any firm or corporation with the patterning to open its centre and reintegrate with its staff and processes in a new way. This will naturally increase efficiency, aid staff retention, and render the company a more human and enjoyable place to inhabit. It will also connect the company into their locality and the local community. It will connect the company into a network of sustainably sourced materials. It will connect the company into an ever expanding sustainable sector both of fellow operators but also of customers and markets. It will also connect them into a new basis with governments both local and national. Most significantly it has the mechanisms to break the blind causal driver of shareholders and in particular corporate shareholders, for profit at any costs. This will be hugely significant for directors and decision makers. By releasing them from this pressure it will create the slack in the system to facilitate the transition from the finite game to the infinite game of Live Earth GoBaC. 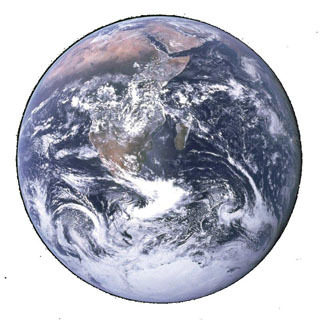 The Corporate Live Earth GoBaC is currently in development and we are interested in talking to firms who would like to trial aspects of it in a cooperative manner in order to develop this model. We estimate that the full version of this should be available by 2009. Currently we have available a developmental model that contains all the basics. We are happy to introduce the basics of the Game of Balance & Celebration to companies and to assist with problem resolution. We can also give training.